For a girl like me, who uses her phone more than any human being should, getting a new case is about as exciting as getting a new bag or pair of shoes. That's why I am always happy to collaborate with tech supply stores that sell pretty and not so average cases. 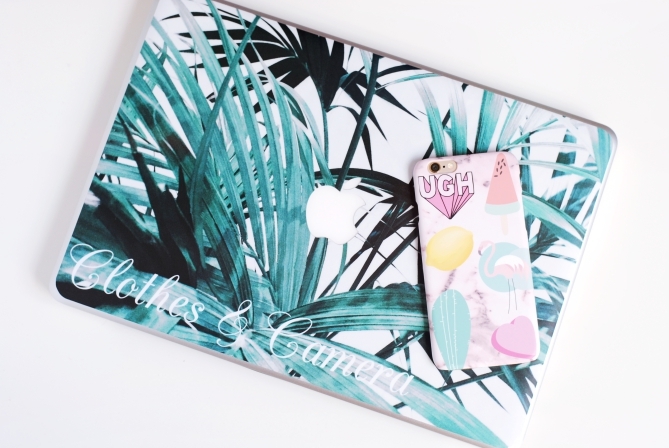 CaseApp is one of these shops as it doesn't only offers popular marble designs but also allows you to create a custom iPhone case or laptop skin. I was allowed to choose two products so I decided to try and review both services for you. Make sure to read until the end as you will be able to win one free product from their store! 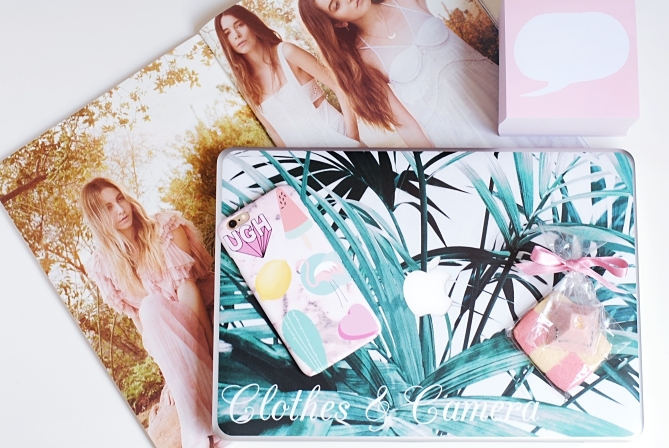 As usual CaseApp allows you to customize your tech with your own photos. However, as I quickly get tired of seeing the same photos over and over again, I was beyond exited to see that they also have a large choice of cliparts to customize existing cases. 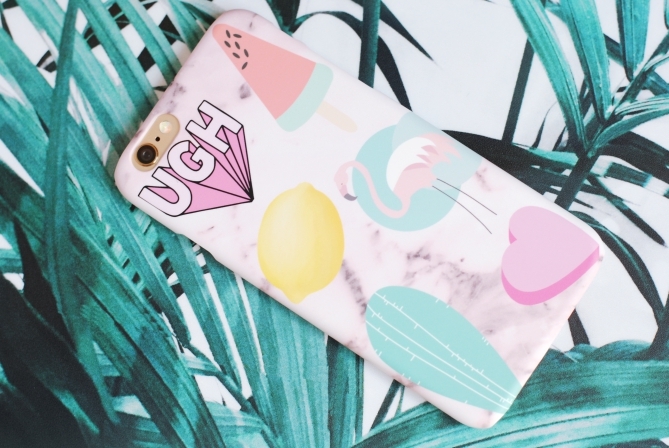 So for my iPhone I chose an existing pink marble case and decorated it with six summer style stickers. CaseApp also have some wordings and other trend symbols for the hipsters among us. I am really pleased with the quality of the print and I appreciate that the case is made of a matt material, which is more forgiving with scratches. Unfortunately I didn't see that the shop offers two kinds of cases, the regular ones which are open at the top and the bottom, and reinforced ones that shield your phone from all sides. I would definitely go for the second kind of case as the first one doesn't guarantee full protection. Furthermore I found my case really hard to fasten and I thought it might easily damage the control buttons on the sides of my phone. 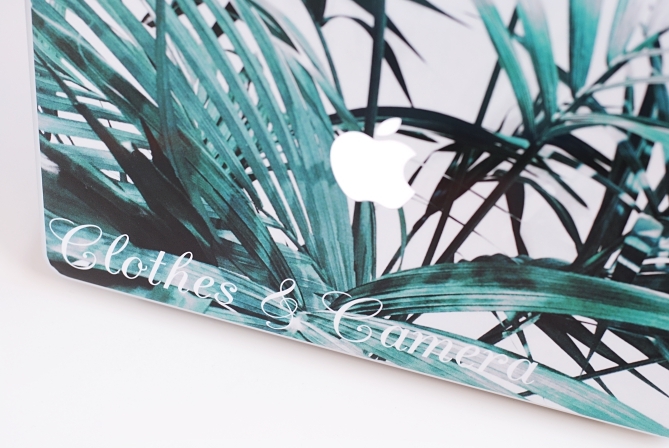 For the skin of my Macbook I wasn't inspired to choose a photo either so again I went for this existing leaf print and added the name of my blog to it. 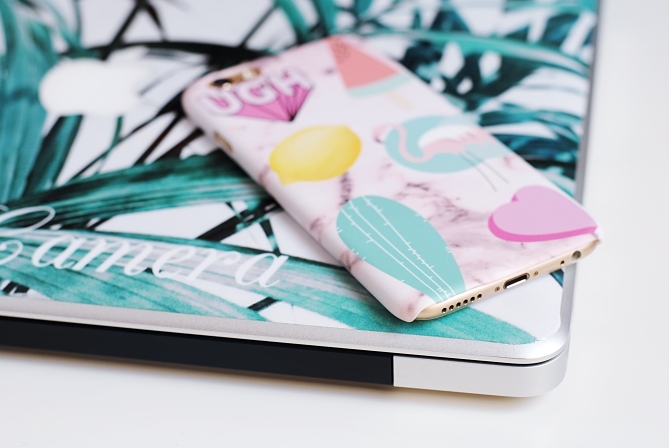 Just like it's possible to decorate every item with cliparts, you can also add your own words to all cases and skins. Again I was really pleased with the result of the skin, even though the leaf photo is rather grainy. Again the skin isn't shiny but has a matt texture. It was quite easy to center and apply the skin, even though I ended up having some bubbles. Fortunately the texture of the skin and the wild print make them almost invisible. The shipping of my products took slightly longer than with other stores, but was still way quicker than announced on their website. And now it's your turn to get creative so scroll down for a 20% discount code and the giveaway! To win a CaseApp product of your choice simply fill in the form below. The giveaway ends one week from now and is open worldwide. If you don't have Instagram but still want to enter, please contact me. The winner will be sent their voucher code via e-mail. For an additional chance to enter go to my Instagram account @clothesandcamera. Good luck everybody! For those who don't feel lucky I also have this 20% discount code that is valid until August 19th!